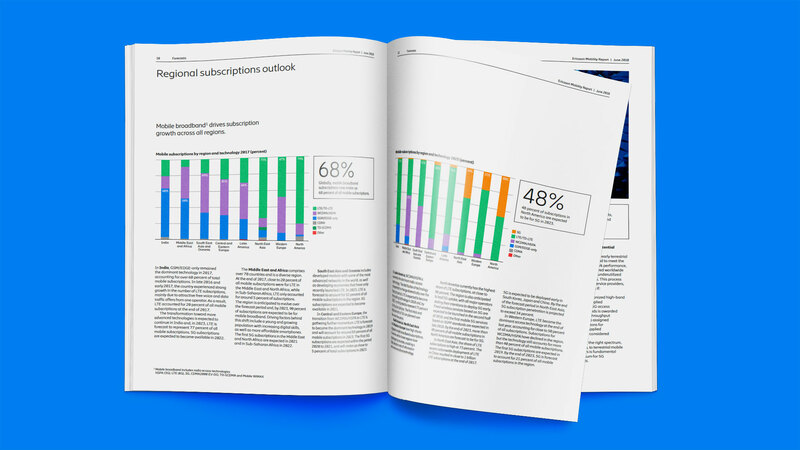 When Swedish ICT multinational, Ericsson, wanted to share its insights on the world’s mobile networks, we worked with their strategic marketing department to develop a solution that would position it as the industry’s foremost authority on emerging trends in the market. Our copywriters quickly got to grips with the complex stories that Ericsson wanted to tell, and the vast amounts of raw data behind them. We recommended an approach that balanced attractive design against deep data analysis, and provided a tone of voice that was factual and credible. Today, the Ericsson Mobility Report (EMR) is hotly anticipated by media organisations and industry professionals the world over. It’s regularly quoted by global media agencies and is used as a reference throughout the industry. The EMR has since expanded beyond the twice-yearly release of the main report to include regional editions, a Mobile World Congress special edition and interim reports. 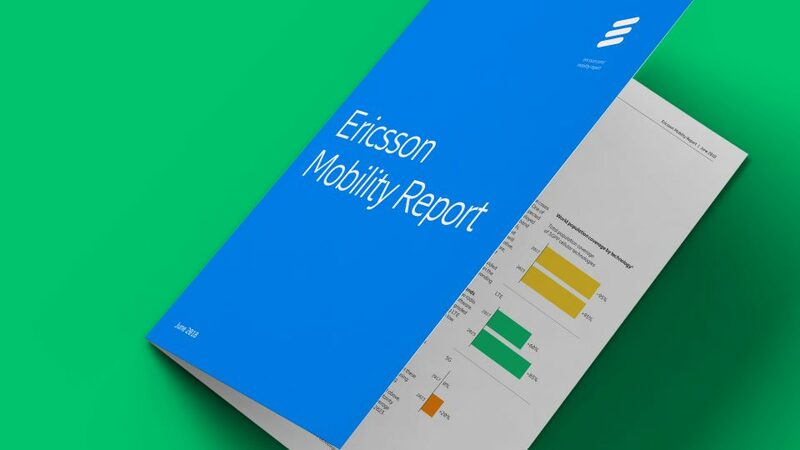 We work closely with Ericsson to produce these high-quality reports, and also provide the EMR team with ongoing creative development and marketing support. 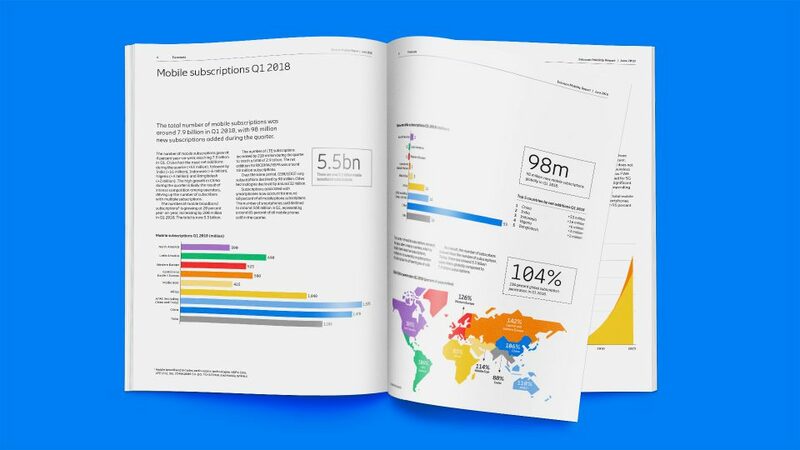 Since its first publication, the report has naturally evolved to serve an increasingly digital audience, leading to the development of new creative ways to present information including: a dedicated online space with web-optimised content from the report, animated videos, interactive graphs, GIFs and high-impact social media messages. This ensures that the EMR continues to communicate its keys messages, add true value to its readers and reach more of its target audience. The Ericsson Mobility Report was a trailblazer. It was picked up by major publications and media programmes around the world including The Financial Times, The Telegraph, Reuters, The International New York Times and the BBC World Service. It won the Bronze Award in the Best B2B: Technology and Telecoms category at the International Content Marketing Awards and was named Business Intelligence Project of the Year in Sweden. Since then, it’s continued to attract international recognition and has become the world’s leading analysis of mobile data traffic.